* IMPORTANT: 42 news items need reading for repository 'gentoo'. Welcome to the Yesod scaffolder. I'm going to be creating a skeleton Yesod project for you. What do you want to call your project? We'll use this for the cabal name. Yesod uses Persistent for its (you guessed it) persistence layer. This tool will build in either SQLite or PostgreSQL or MongoDB support for you. We recommend starting with SQLite: it has no dependencies. The foundation for your web application has been built. There are a lot of resources to help you use Yesod. 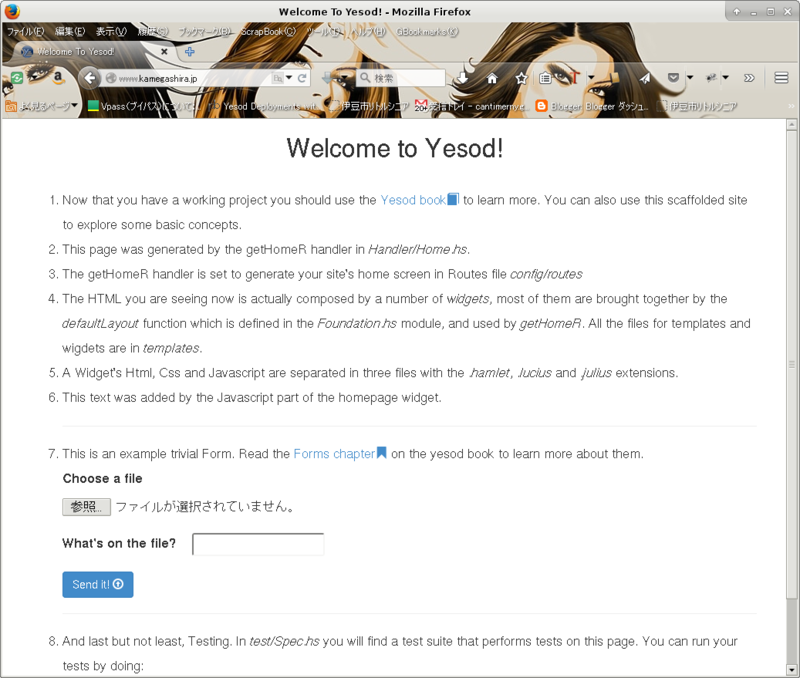 # `yesod keter` to build your bundle. # Name of your executable. You are unlikely to need to change this. # Note that all file paths are relative to the keter.yml file. # Command line options passed to your application. # Uncomment to turn on directory listings. # Redirect plain domain name to www. # Uncomment to switch to a non-permanent redirect.